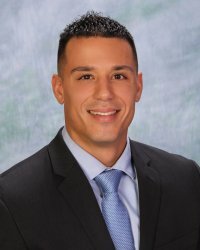 January 2018 – We are happy to announce Edward (Eddie) Vargas has joined StoneBridge Business Partners as a Senior Auditor. Prior to joining StoneBridge Business Partners, Eddie worked at the University of Rochester Strong Memorial Hospital, a large health system, located in Rochester, New York. During his tenure at the Hospital, Eddie worked as a 340B Program Analyst, where his responsibilities included providing 340B related evaluation and guidance to affiliates and acquisitions, evaluating operations to assess compliance, auditing inpatient/outpatient pharmacy dispensations for compliance, analyzing inventory for potential diversion, splitting software implementation, and procurement evaluation and optimization. Eddie will be part of the 340B compliance audit team.